Following numerous food scandals in China in recent years—from vegetables soaked in pesticides to pork injected with growth hormones—the Chinese regime might finally be taking food safety seriously. In a recent press conference addressing food safety concerns, China’s Supreme People’s Procuratorate, the country’s public prosecutor, revealed that between January 2014 to June 2015, authorities arrested 5,212 suspects and prosecuted 12,871 people for producing or selling toxic, hazardous, or other substandard foods. The Chinese regime also recently amended a 2009 food safety law, adding fifty new articles setting tougher penalties for violations, which will go into effect on Oct. 1 of this year. But the government’s attempts to address rampant food violations in China might not be able to restore people’s faith in food products in China, especially considering the entrenched network of corruption involved. 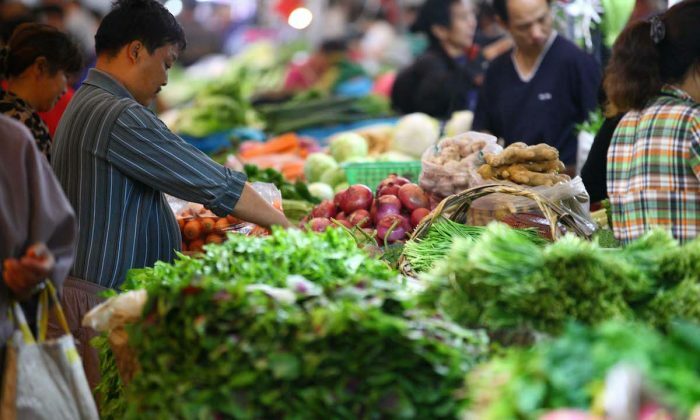 An annual China Youth Daily survey in March showed that out of various “quality of life” issues, like housing or the environment, the public worried the most about food safety, with 77.3 percent of respondents identifying it as their greatest concern. This became apparent in April when, following a China Central Television report about a few batches of pesticide-tainted strawberries in Beijing, the price of the fruit plummeted nationwide. Even after experts raised doubts about the initial test results, and local authorities declared they had found no dangerous pesticides in the strawberries in their areas, skeptical Chinese citizens continued to steer clear of the fruit. But the public’s fears are not without good reason. The following are five of the major cases involving substandard, fake, or poisonous food products in the past year and a half that would probably make any consumer weary. In Wuxi, a city in eastern China, local public security officials arrested 28 people for selling dangerous supplements to reduce blood sugar, reported Xinhua late last year. The criminals had sold the capsules across China since 2008, earning nearly $160 million (1 billion yuan). 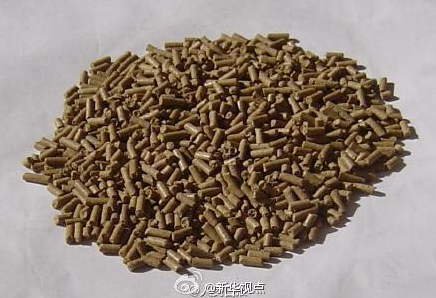 The supplements were adulterated with glibenclamide and phenformin hydrochloride, both of which are banned from food products in China. Glibenclamide is a prescription drug requiring medical supervision for consumption, and phenformin hydrochloride has been linked to lactic acidosis, a potentially fatal condition caused by an accumulation of lactic acid in the bloodstream. A box of these capsules, which cost about $2 (10 yuan) to manufacture, were sold to sales representatives for about $16 (98 yuan). The salespeople would then sell each box for about $64 to consumers. Considering the enormous profits involved, it’s not surprising the manufacturers and salespeople chose to cheat their customers with faulty substitutes. 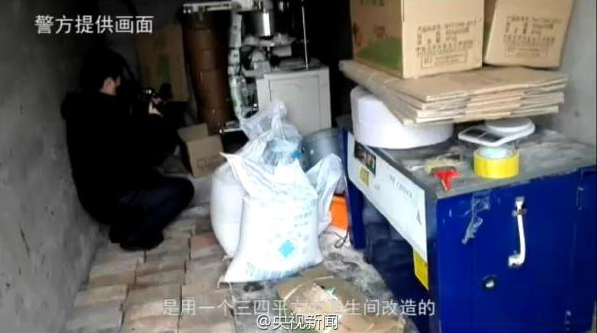 In Daxing District in Beijing, officials from the local public security bureau raided a factory a month ago for repackaging industrial salt as table salt, reported People’s Net, the online version of the state-run newspaper People’s Daily. Authorities arrested 22 suspects in a case spanning seven provinces. Over 20,000 tons of fake table salt had been sold for over $3 million (20 million yuan). Although registered as an industrial salt company, they packaged the salt they had purchased with the label “iodized table salt.” Humans need trace amounts of iodine for proper development and growth, and an iodine deficiency can lead to an enlarged thyroid gland, also known as a goiter, as well as fatigue, slowed metabolism, and other abnormalities. Iodine insufficiency is widespread in China, so most edible salt must be iodized. But merchants often illegally selling industrial salt in China because of the enormous potential for profits. Edible salt in China is sold at prices ten times those of industrial salt. In Rui’an, a city in the southern region of Zhejiang Province, the local court opened trial of the owner and several employees of the 15-year-old business Shumei Food for producing beef jerky using pork, reported Guangzhou Daily in December 2014. 37 people had been arrested in August 2013, in a criminal case involving over $3 million (20 million yuan). 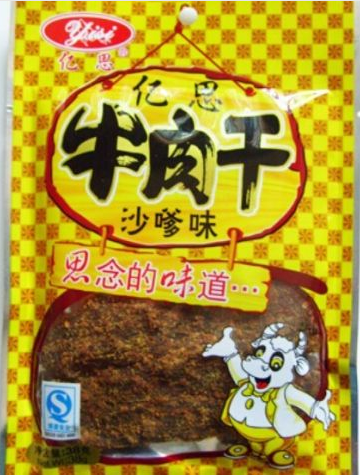 To create the fake beef jerky, pork was mixed with different additives, submerged in water for a long time, and then mixed with condensed beef paste, according to Mr. Zhang, the owner of the company. “Because of the competition for lower prices, there aren’t any real beef products on the market. That’s why I also did something like this,” said Mr. Zhang, in an interview with Xinhua News Agency. 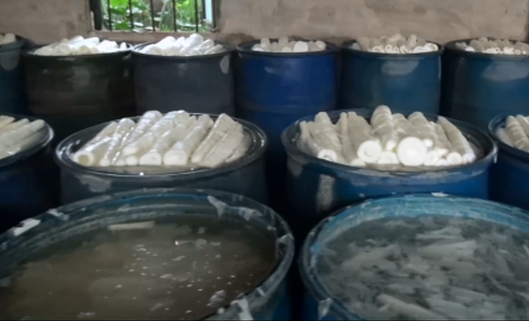 In Haizhu District in southeastern China’s Guangdong Province, the police busted a family run business for using large amounts of sodium metabisulfite, used as an antimicrobial preservative, to clean bamboo shoots, seaweed, and cloud ear fungus, also known as black Chinese mushroom. Authorities found ten tons of poisoned food, and six people were arrested. Sodium metabisulfite releases sulfur dioxide when mixed with water, leaving that familiar smell of rotten eggs. Therefore, Mr. Lu, the owner of the business, and his employees had to wash the bamboo shoots and other produce for several hours to remove the pungent odor before selling them on the market. For those who are allergic to sulfites, consumption can cause rashes, hives, or wheezing. Sulfur dioxide is also linked to adverse respiratory effects including bronchoconstriction and intensified asthma symptoms, according to the U.S. Environmental Protection Agency. In early June, state-run media Beijing News reported that China’s Food and Drug Administration recently found high levels of lead in the ground Szechuan pepper produced by Shanghai McCormick Foods. The powder contained 4.0 mg/kg of lead, surpassing the state limit of 3.0 mg/kg. 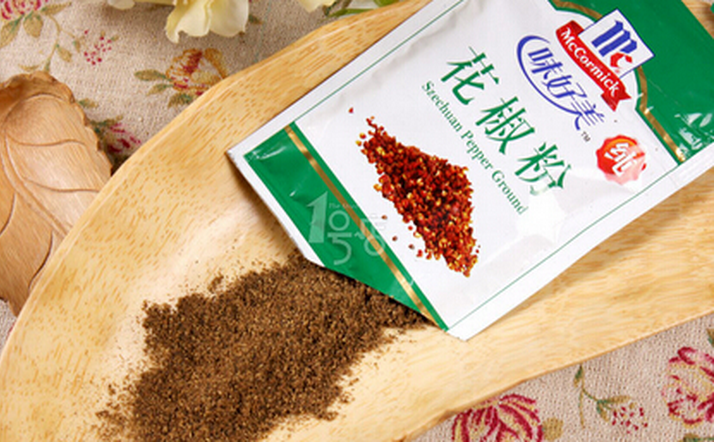 The ground Szechuan pepper produced by Shanghai McCormick Foods, funded by U.S.-based McCormick & Company, was being sold at Walmart and many other chain stores. And this was not the first time the company’s pepper powder was found to contain excessive lead. In March of this year, the same powder was found to contain lead at levels as high as 4.7 mg/kg. Lead can affect almost every organ and system in the body, according to the U.S. Environmental Protection Agency, and it is particularly harmful to pregnant women and young children, potentially causing severe problems in neurological development. For adults, excessive lead exposure can cause increased blood pressure, hypertension, decreased kidney function, and reproductive problems. Here are 5 vegetables produced in China you may consider staying away from, given the sometimes alarming stories about how they are produced in China. Even Chinese people don't trust the food products. Cadres who show their willingness to be sacrificed by the Communist Party get a second chance after being embroiled in scandal.